Steamboat style lunch in Hat Yai (restaurant in the Robinson’s mall). SO MANY KINDS OF MUSHROOMS! Larb gai (minced meat salad) from a roadside stall in Phra Ae, Koh Lanta. 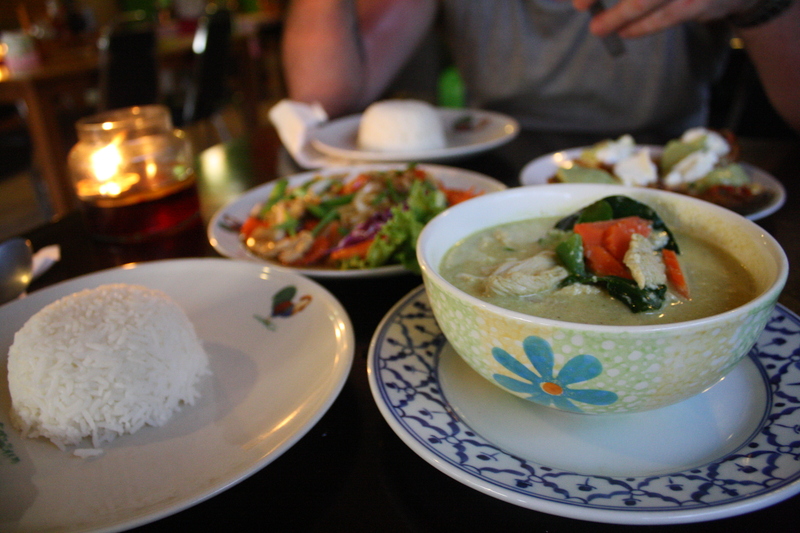 Thai stirfry and green curry at The Tavern, Koh Lanta. The Tavern, a restaurant/bar that serves good western AND Thai food at reasonable prices (T thrived on the big breakfast – 180 baht) and I can recommend – surprisingly – the nachos and stuffed potatoes. Take advantage of their specials, too – we feasted on a banquet of spring rolls, fish cakes, stir fry and curry for 299 baht on our last night. 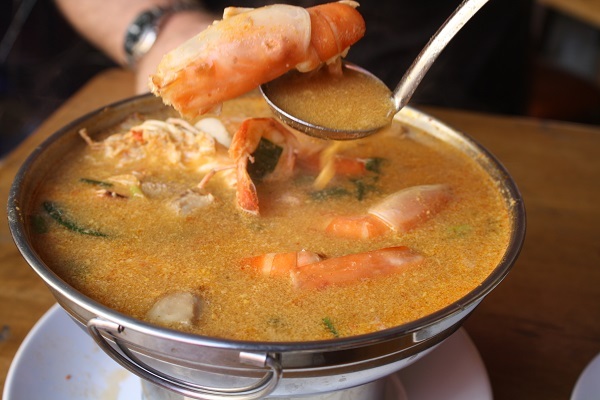 Tom yum kung hotpot on Soi Rambuttri, Khao San Rd area, Bangkok. 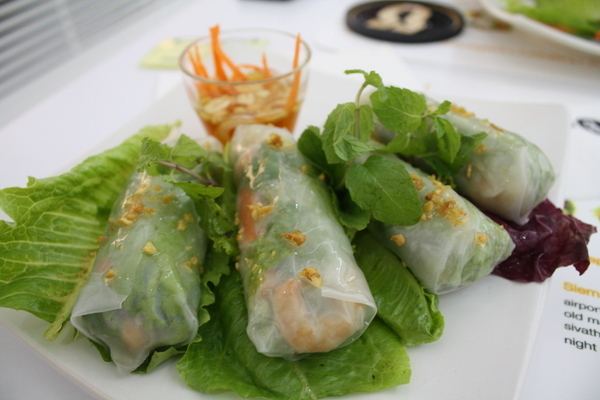 Spring rolls at The Blue Pumpkin, Siem Reap. 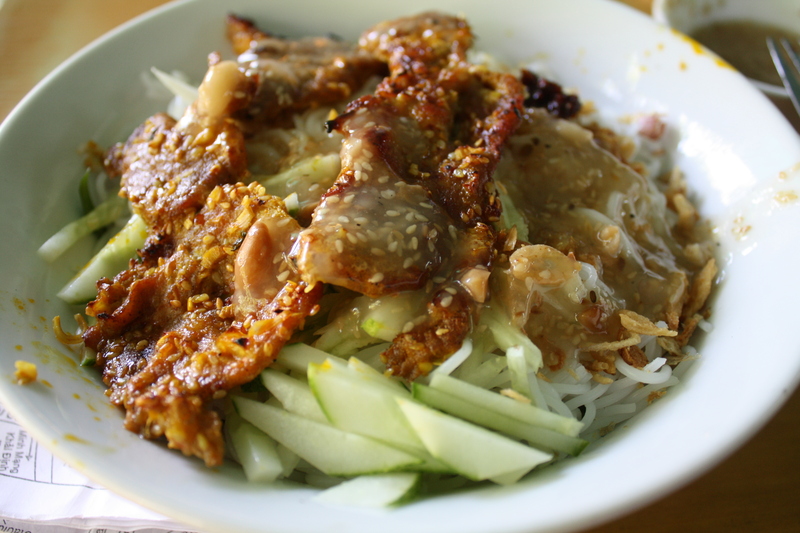 Noodles with barbecued pork in Hue. 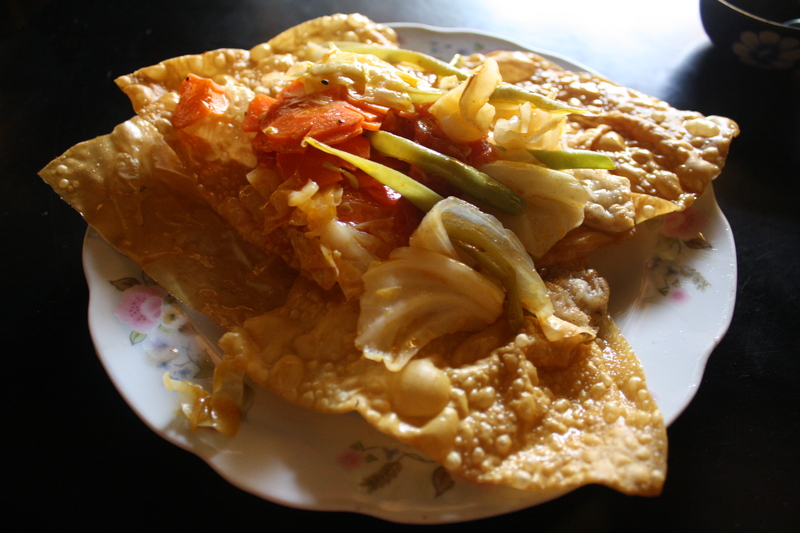 Fried wontons at Trang Buc in Hoi An. Hoi An, surprisingly, captured my foodie heart. From the cao lau to my quang (both traditional local noodle dishes) to com ga (chicken rice) and white rose (shrimp dumplings), good eats were to be found everywhere in this tiny town. I could have easily gotten used to wandering over to the street stalls every morning for a bowl of noodles, followed by a spicy banh mi around the corner. I rarely carried my DSLR on these outings. That said, I don’t think any cuisine will ever surpass Malaysian for me. Laksa. Nasi lemak. Sugarcane. Ais kacang. Soya milk. Sometimes the stuff of childhood will simply never be usurped. Follow me on Instagram for more foodie pictures on the go! Om nom nom. That looks so good. The spring rolls looks really good. They’re mouthwatering. Yum! Oh my, I literally salivated over these pics!! They all look so good and I bet they were delicious! My ex boyfriend asked me if I’m half thai, because I crave thai food all the time. Great food photography! I’m jealous of you eating all those mushrooms (my favorite). Looks sooooo good. Yum! I’m jealous of your food photography actually. My food pics have improved, but they definitely don’t look THAT good. I love Asian food – its just so full of flavour. 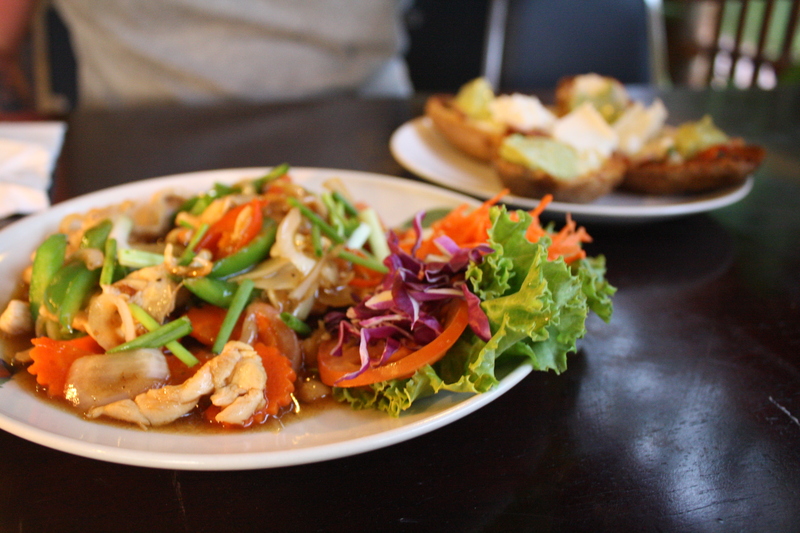 Thai is my favourite, but I developed a soft spot for the wontons in Hoi An! Ah I so dream of going to Asia and just overindulging in the food! Previous post: What kind of traveller are you?